Got your theory test coming up? We'll help you ace it with some handy hints. To be a safe driver, you need to know the rules of the road, and that’s where the driving theory test comes in. The test is divided into two parts - multiple choice and hazard perception. Both tests are usually completed on a computer at the test station. The multiple choice section consists of 50 questions, which you have 57 minutes to complete. You’ll need 43 or more correct answers to pass. You'll then have the option of taking a short break before starting the hazard perception test. This section involves watching 14 video clips which feature “everyday road scenes”, with at least one developing hazard. TOP TIP - one of the clips will feature two developing hazards rather than one, so watch out for that one. You need to click the mouse whenever you see a hazard developing. Each hazard carries a maximum score of five, and you’ll gain more points for spotting hazards earlier. The pass mark for the hazard perception test is 44 of a possible 75. Do I actually need to take a test? 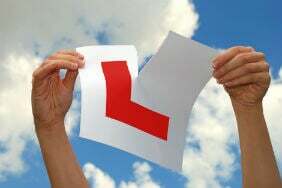 If you’re a learner, or you’re upgrading your existing licence to drive something else e.g. a motorbike, you’ll need to pass a theory test, and will need a provisional licence to take the test. If you’re upgrading from an automatic to a manual licence, you don’t need to sit the test again – but you’ll need to re-sit the practical test. 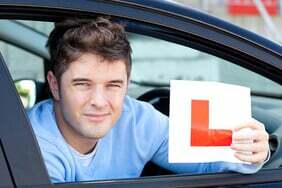 The driving theory test costs £23 for cars. Unlike the practical car driving test, the cost of the theory test is the same no matter when you take it. Grab yourself a copy of the Highway Code. It’s the best place to start and is also the source from which the test takes its questions. The Driver and Vehicle Standards Agency (DVSA) also have an online guide which explains how the test works, and has some sample questions which can help you prepare. The DVSA also have an online practice test, where you can do practice exams for free. It replicates the conditions you’ll face in the proper exam. The books and website cover the multiple choice questions, but you still need to prepare for the hazard perception test. 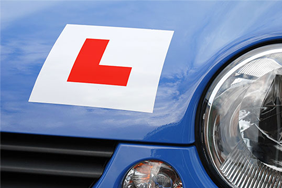 It's worth bearing your theory test in mind during your regular driving lessons. The best way to prepare for this section of the test is by getting out on the road and observing hazards. It's also worth sitting alongside someone else while they drive. That way you can concentrate on spotting potential hazards and learn the art of anticipation. Don't stay up for a late night cramming session the day before your test. Get to bed early so you’re fully rested for the next day, and leave in plenty of time to get to the test centre. And don’t forget your provisional licence and the card with your test details. In this part of the test, you’re given a little over a minute to answer each multiple choice question, so there’s no need to rush. Take the time to read each question carefully, and flag questions you’re unsure about to come back to later. Some questions ask you to tick more than one box, so think about your answers and check them over before moving on to the next question. 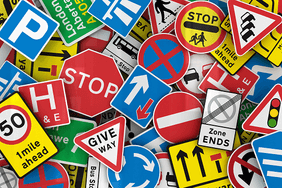 The best kind of prep you can do for this test is to use the Highway Code to learn about road signs, markings and rules. You can never study too much. TOP TIP - read each question twice before answering. You’d be surprised how many wrong answers you can avoid by paying attention to what the question asks. Watch the clips carefully and be patient. You don’t need to score the maximum five points on every clip, and if you click too early, you risk scoring nothing. Be warned that trying to cheat by clicking repeatedly or in some kind of a pattern will be detected by the system and you'll get zero points for that clip. Lots of people pass their theory then wait ages before booking a practical exam. The trouble is, many test centres have a waiting list and your theory certificate only lasts for 2 years. Wait too long and you’ll have to do it, and pay, all over again. And learning to drive is not a cheap process. Lastly, try your best to relax. In the theory and practical driving tests, nerves are often a learner’s biggest problem. Remember that the examiners are humans too, and if you do fail, you can just take the test again. Is Pass Plus a worthwhile investment?